Indian squash never had it better than 2014. There was a bagful of firsts, highlighted by a gold medal each in the Commonwealth and Asian Games, in a highly successful year for the racquet sport. Dipika Pallikal and Joshna Chinappa, the glamorous Chennai girls, let their racquets speak louder than their looks in a sport with a distinct male bias. The women trio of Pallikal, Chinappa and Anaka Alankamony stood a step lower on the podium at Incheon but the silver showing was enough to achieve something not done before. 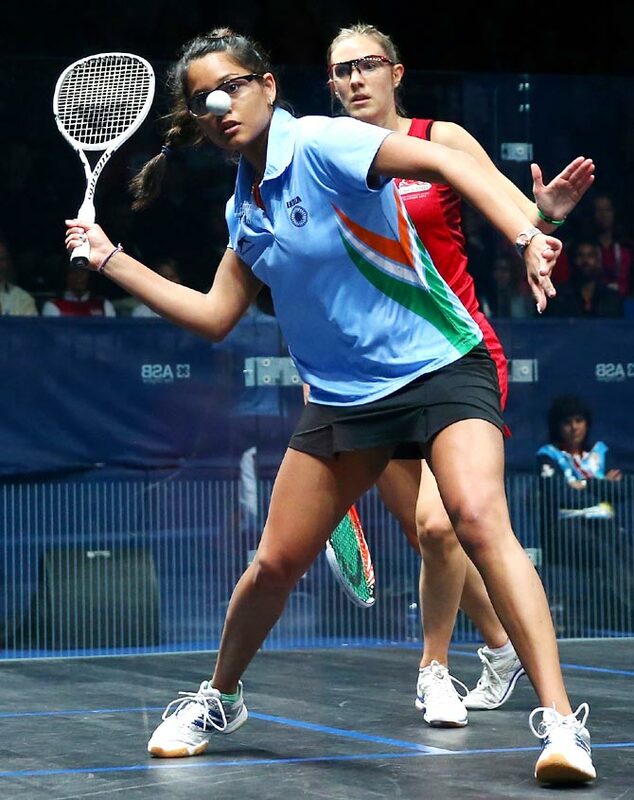 Pallikal, the first Indian player to break into the world's top 10, added to her competition tally by edging teammate Chinappa in an intense quarter-final for the bronze medal. 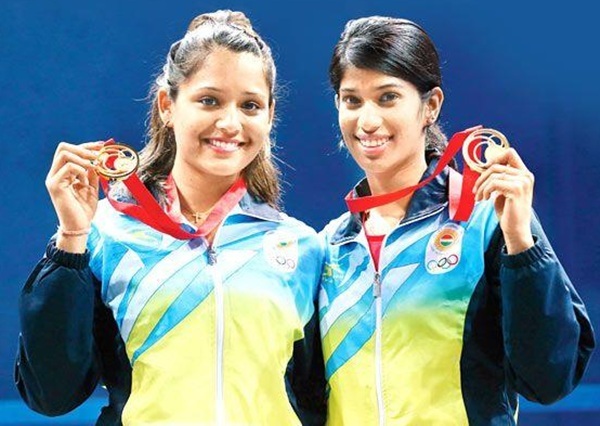 The Pallikal-Chinappa combination surprised fancied opponents on their way to earning India's first-ever medal in the Commonwealth Games, and that too a gold. Their scalps included the mighty Malaysian pair of Nicol David and Loe Wee Wern and top seeds Jenny Duncalf and Laura Massaro from England. "It really was an incredible year. It panned out better than what I had thought at the start of the year. You always prepare differently in a Commonwealth Games and Asian Games year and, in the end, all the hard work and loss of time on the professional tour was worth it," world number 16 Pallikal said. "I played less tournaments this year because of the two multi-sporting events. So next season will be about playing more tournaments and getting back into the top-10," added Pallikal, who was training in Melbourne with coach Sarah Fitz-Gerald in the lead up to the World Open. While the big three -- Pallikal, Chinappa and Saurav Ghosal -- were always expected to do the bulk of the job, it was pleasing to see Harinder Pal Sandhu emerge from their shadows. The 25-year-old from Mohali set up a memorable gold medal feat for India in the men's team event at the Incheon Asian Games by dismissing defending champion Mohd Azlan Iskandar in the opening singles. Ghosal then got past the experienced Ong Beng Hee, triggering wild victory celebrations. The win also lessened Ghosal's pain of losing the singles gold medal clash from a commanding position. 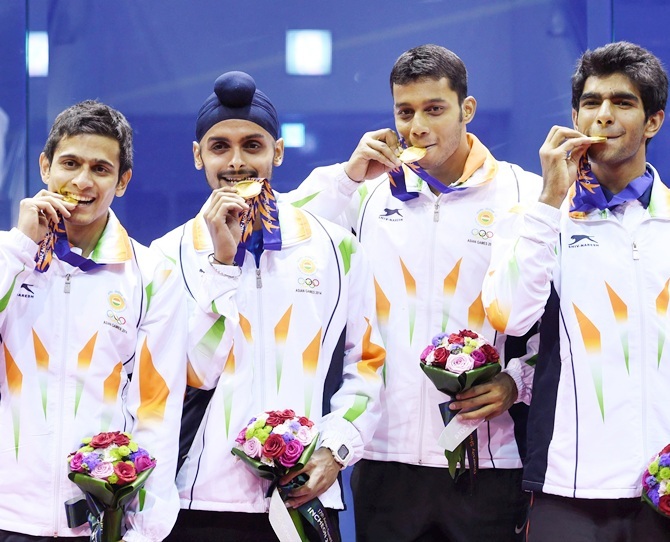 The men's team gold had capped off India's historic show at the Games, where it ended up winning medals in all four categories on offer. The Kolkata-based Ghosal summed up his season. "This year for me was all about Commonwealth and Asian Games. The huge disappointment in the Asian Games was not winning the individual gold medal. I was so very close and losing the final will always hurt," Ghosal said. "However, I'm really happy I could bounce back from that disappointment and help India and my team win our first ever gold medal at the Asian Games. It is my biggest achievement to date and I will always cherish the moment we won."